Wow, that was a surprise! Thank you so much for the nomination. And many congrats on yours! Thank you and congratulations to you too! have a nice day, my dear! See all details on my blog. How lovely that your husband makes bread for you! He learned because I can not eat industry bread! Makes sick to my stomach! 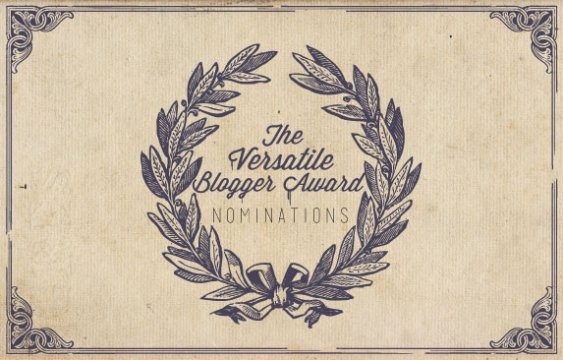 Now, I have nominated you for the versatile blogger award ! see the details on my blog! see the details on my blog! have a nice day ,my dear. Thank you so much for your kind nomination :). I make my own bread too because I like the taste so much more than commercial bread. Thank you very much! So kind of you! Congrats on your nomination. It’s really weird, but I’m a follower of your blog but never get email updates…Wordpress is so finicky. Anyways, that’s great you love art. I also love to paint! hahahah do not worry! Ohhhh nice!! What is your style of painting? Who are your artists that inspire you? I love all kinds of art! all my life I studied about art.I did theater,ballet,other types of dance, painting, playing musical instruments,sculpture and one day I’ll write a book hahahah. My father made the childrens learn about all kinds of art and travel and meet other people and cultures! I learned from some family and friends some extreme sports hahaha ! ahhhh and my grandmother taught me the art of craft and cooking! My husband works in the art world and also makes many extreme sports ! Is good when we find someone with the same tastes or almost identical to ours!or at least respect and support the person who is on your side! it seems that everything gets easier hahahah! Have a nice day! Hmm I was trying to post this on another blog post …mobile devices can act up sometimes!